Squeaky shoes are annoying to you and everyone around you, so it’s a good idea to know how to stop tennis shoes from squeaking. This noise can result from the type of shoe bottom or from the insole rubbing inside of the shoe. Some tennis shoes only begin to squeak as they get older. Either way, there are a number of ways to try to correct this problem without having to buy new sneakers. Pour a small amount of liquid fabric softener onto a sponge or washcloth and put the sponge and the shoes into the dryer. Don’t leave the sneakers in the dryer for longer than ten minutes to avoid the heat damaging or shrinking shoes. In many cases, this is all that’s necessary to eliminate squeaks in tennis shoes. If not, there are other options. Rub the bottoms of tennis shoes with a sheet of sandpaper. This works well if the squeak is caused by soles that are hardened due to age or the type of surface usually walked on. Remove insoles of tennis shoes, if possible. Apply a thin layer of hand lotion or petroleum jelly to the bottom of shoe and then replace the insole. 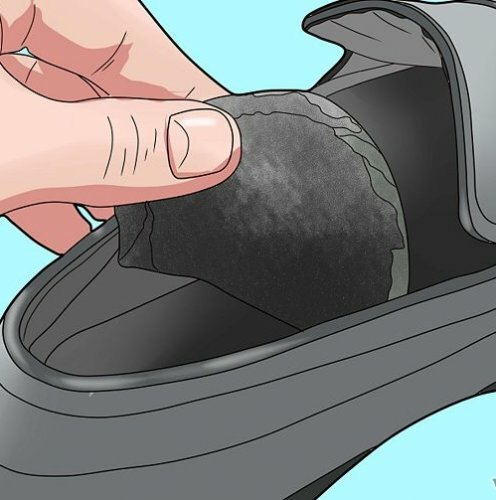 This helps squeaks that are caused by the insole rubbing inside the shoe when you walk. You can also use baby powder instead of lotion, if desired. Some brands and styles of tennis shoes are just more prone to squeaking than others. If sandpaper, lotion and using the dryer don’t work, your only options may be living with the squeak or buying new tennis shoes.